Growing up, Dr. O’Hara was a fantastic gymnast—so much so that her skills allowed her to advance to international competitions. But at the young age of just 16, her career ended due to chronic injuries when her orthopedic surgeon would no longer offer her cortisone injections for pain. When it was time to continue her education, Dr. O’Hara initially began as a Sports Medicine major. While she was in class one day, she had the opportunity to learn more about chiropractic and began to understand that her injury as a gymnast should have been treated physically instead of chemically—in fact, the cortisone injections she had received for so long had only made her weaker. From that day forward, a light went off in her head. To correct the underlying mechanics of joints, the cause of the problem needs to be addressed, not just the pain! At that moment, Dr. O’Hara decided to devote her life to giving people the opportunity to reach their health potential. She changed her major from pre-med to pre-chiropractic, and the rest is history! Dr. O’Hara has been in practice since 1988. 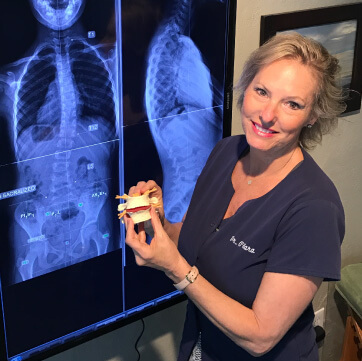 She has been working diligently to heal the Goleta and Santa Barbara community with the Gonstead Technique, often hailed as the “gold standard” for chiropractic care. Awarded “Best Chiropractor” in Santa Barbara nine years in a row. Awarded “Ambassador” for Life Chiropractic College-West. Associate Clinical Professor at Life Chiropractic College-West. 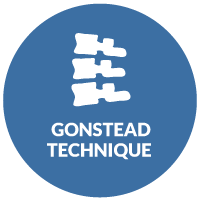 Taught in the technique department (Exam Procedures, X-ray Analysis, Extremity Adjusting, Gonstead Cervical, Thoracic, Lumbar and Pelvic Technique. Conducts Continuing Education Seminars in Gonstead Technique at all California Chiropractic Schools. Speaker and Lecturer for Local Corporations called “Lunch and Learn.” Including UCSB, Lockheed Martin, Yardi, Forest Service, Haywards, CREE, Applied Magnetics, Ratheon, Costco and most of the local school district schools. Volunteer Team Coach for five years at Spirals Gymnastics Club at U.C.S.B. Internship with Dr. Leroy Perry – First Olympic Chiropractor and worked with him during the 1984 Olympics in Los Angeles. He was the chiropractor for Hollywood Celebrities. Dr. O’Hara makes sure her family receives chiropractic care on a regular basis, being adjusted several times a month depending on the physical demands that work and life bring. How can we help you? We’d love to speak with you about all that chiropractic has to offer. Almost every patient has said they wished they would have started care sooner. Consultations are free over the phone . Contact us today to get started!